Give your Porsche 996 Carrera Non Turbo a serious boost in power with these direct replacement 200-Cell Sports Catalytic Converters and Performance X-Pipe. 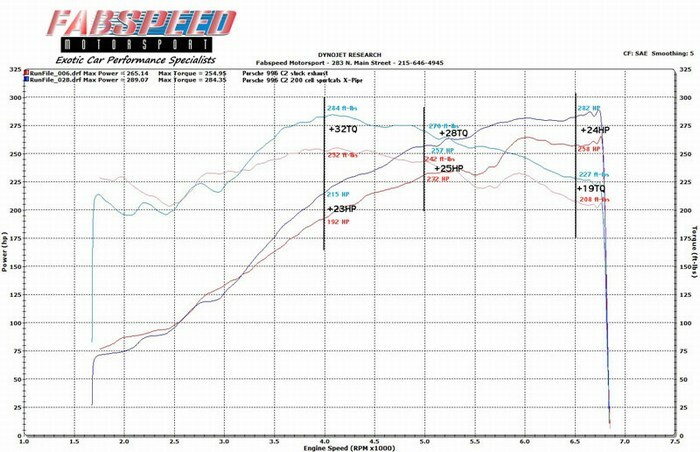 Fitting these sport cats to your 1998-2005 Porsche 996 Carrera Non Turbo will yield a significant boost of +25whp and +32wtq for serious power you'll hear and feel every time you hit the throttle. Are you looking for a modification for your Porsche 996 Carrera that will produce more horsepower and torque then any other performance exhaust component? Fabspeed has just what the doctor ordered with these Porsche 996 Carrera high flow Sport cats. 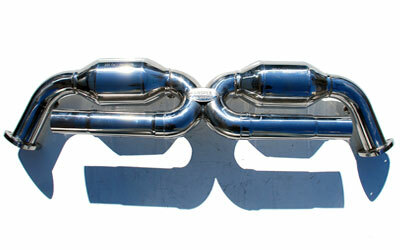 Designed to be paired with NON TURBO 996 Carrera models only, this X-pipe will not fit turbo models. The Fabspeed Sport cats are street legal and are great for competition or street driving. They will give you plenty of horsepower and give you a nice deep aggressive exhaust note. They are made of high quality stainless steel and are a straight bolt on modification. 996 Sports racing catalytic converters give a HORSEPOWER and TORQUE gain to all 996 cars. High Quality T304 SS C.N.C. 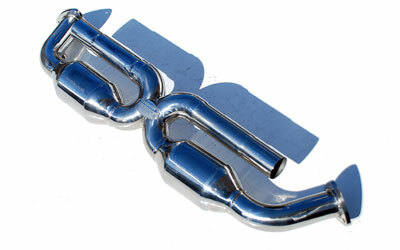 mandrel bent tubing for maximum exhaust flow. 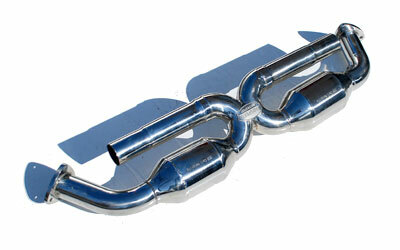 High Flow imported sports racing catalytic converters for less restriction and more power and more sports car sound. Simple bolt-on direct replacement sports cats for the factory OEM Porsche catalytic converters.